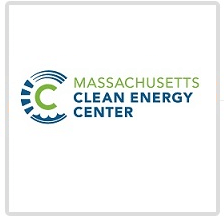 MassCEC (Massachusetts Clean Energy Center) - Boston GreenFest - Aug. 16-18, 2019 - FREE! MassCEC’s mission is to grow the state’s clean energy economy while helping to meet the Commonwealth’s clean energy, climate and economic development goals. Invest in programs that increase clean energy adoption by residents, businesses and communities. Connect employers, job seekers, students, communities and investors within and across the clean energy industry. Drive innovation through infrastructure, investment funding and technology development support. MassCEC funds more than 40 programs including incentives for clean energy technology installations, financing for early stage companies and technology development as well as investments in training programs to build a clean energy workforce. MassCEC, which is publicly-funded, drives innovation by serving as a clearinghouse and support center for the clean energy technology sector, providing assistance to enable companies to access capital and other vital growth resources.